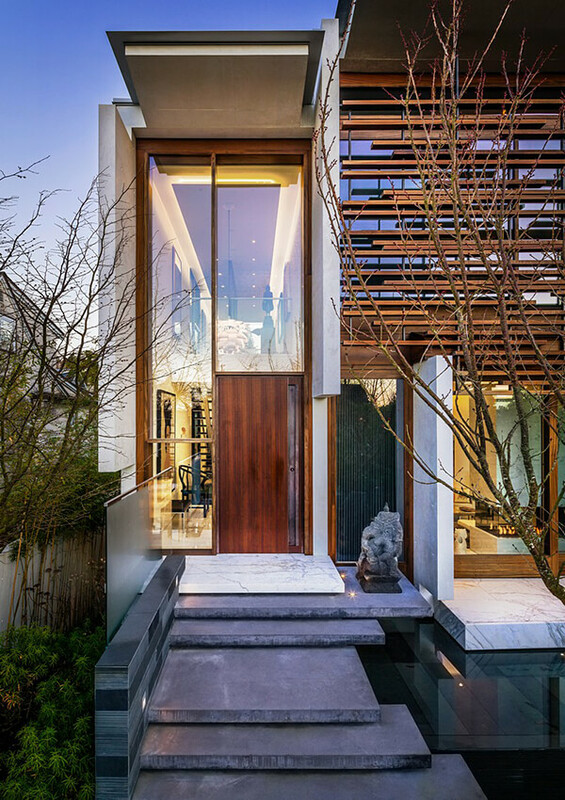 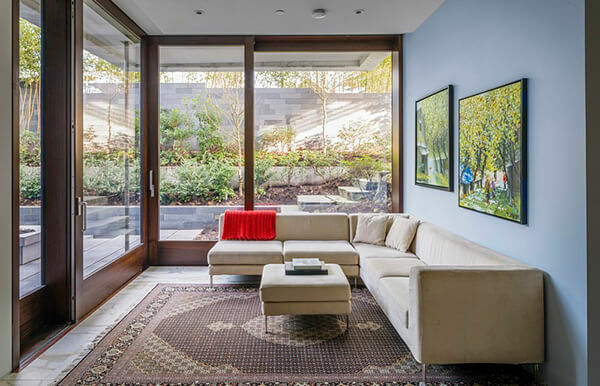 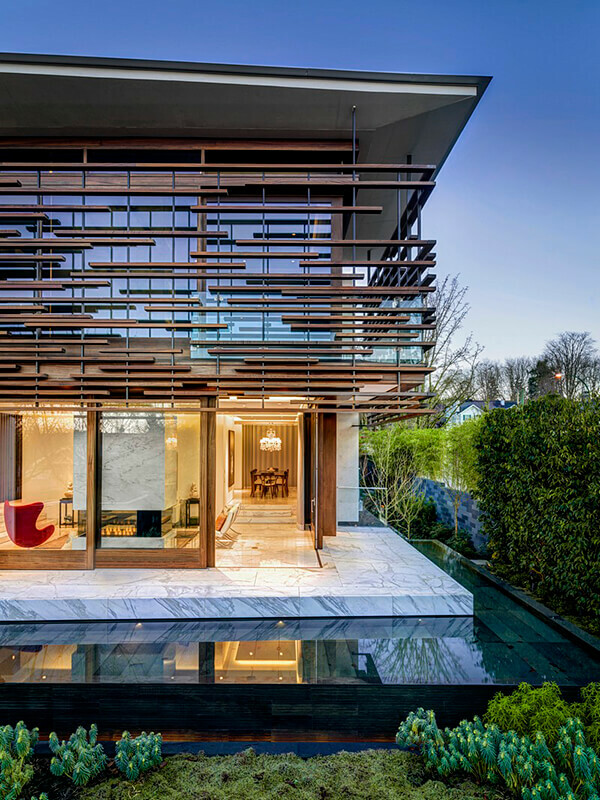 Located in Vancouver, Canada, this beautiful house is is a single family house designed by Arno Matis Architecture. 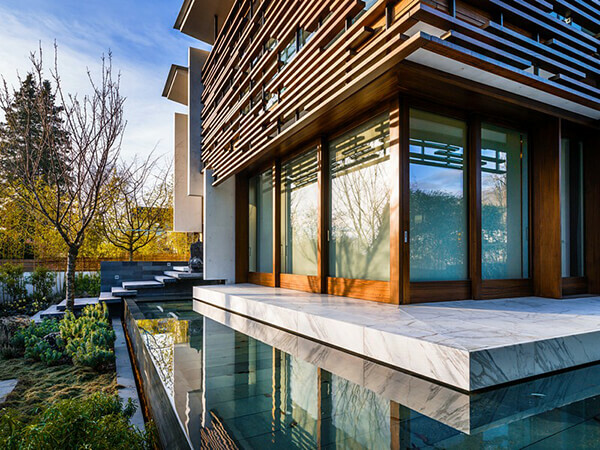 Due to the fact that the house appears to float on a large reflecting pool, it is named as “floating house”. 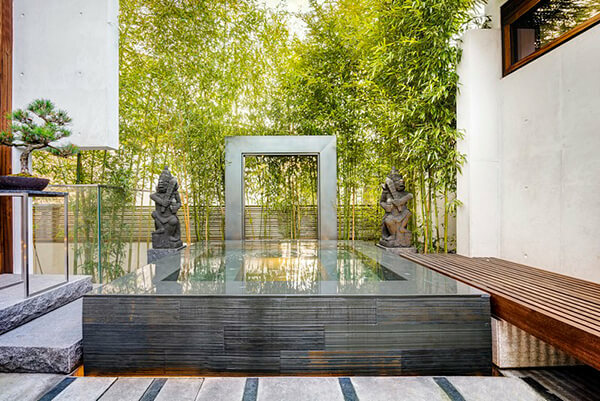 In generally, it is a fusion of contemporary east-Asian, and west coast design influences. 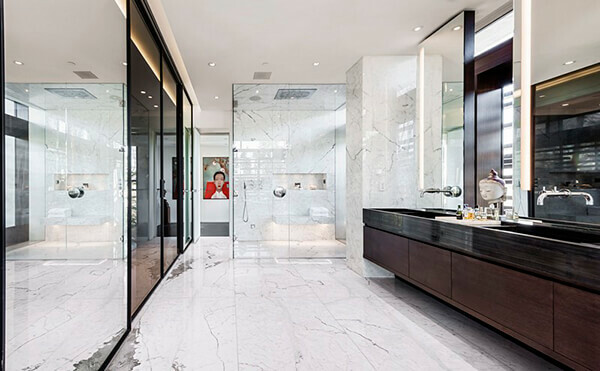 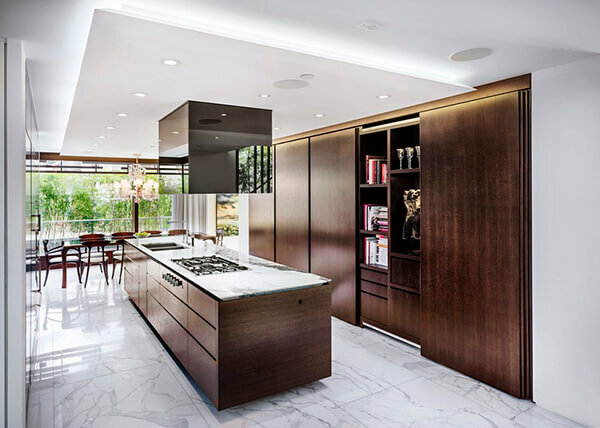 Look inside, you will notice the marble surfaces are wildly used in the design and create an open/airy/spacious flow. 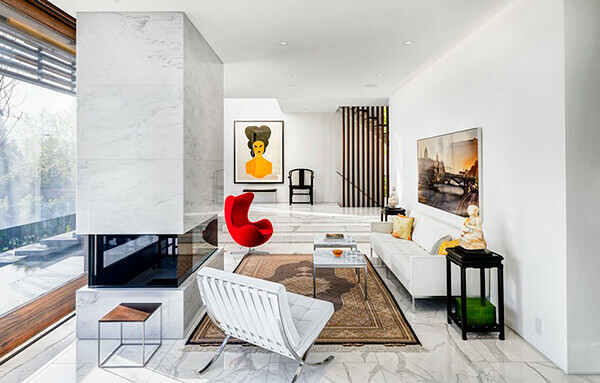 Another thing I like most about this house is its floating fireplace inside the master bedroom. 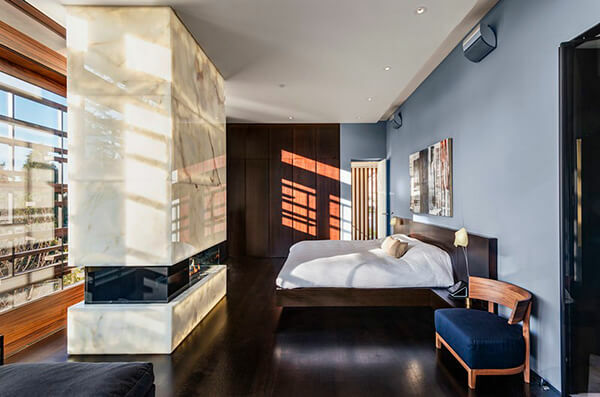 A suspended wall with built in see-through fireplace located between floor-to-ceiling window and bed looks like a dream to me. 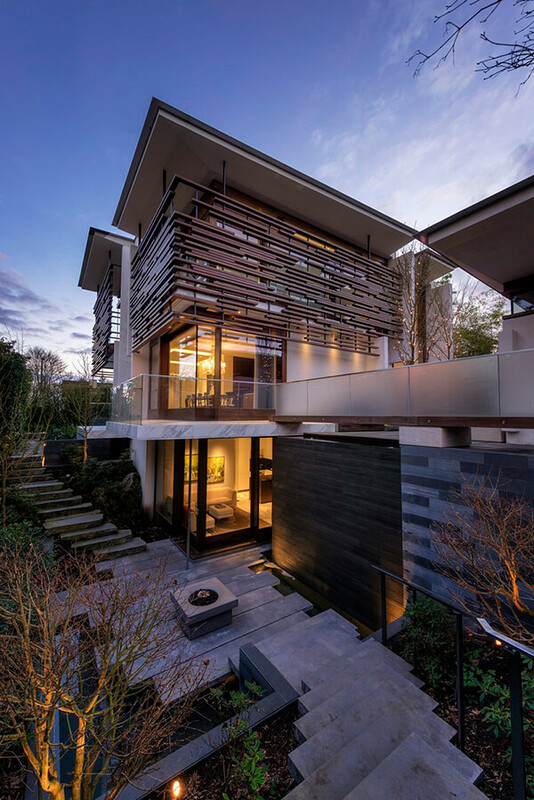 Last but not least, the landscape design of the house is impressive as well. 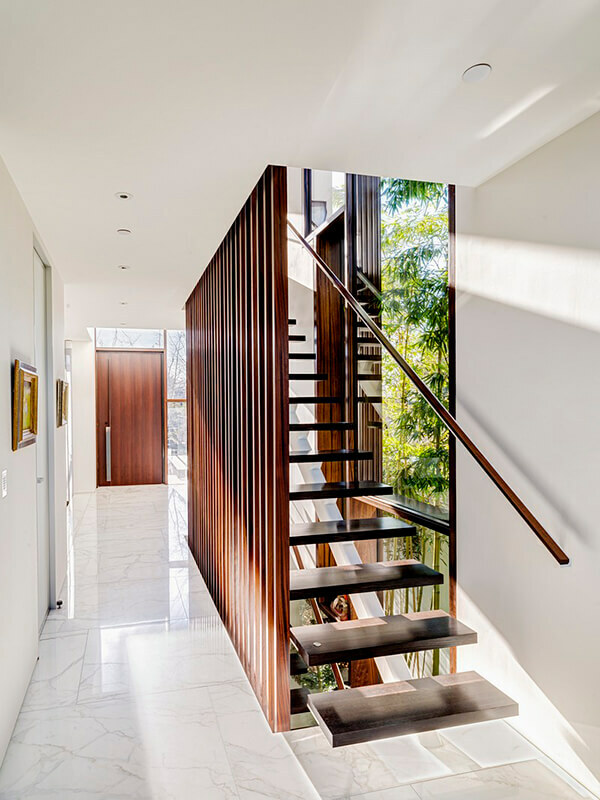 It perfectly defined a house with a continuous indoor-outdoor connection at all levels.